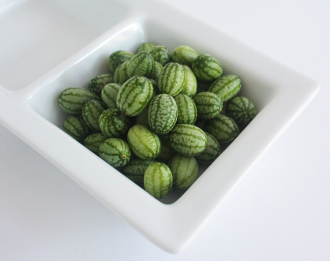 Tiny Cucumbers that resemble tiny watermelons! Great juicy melon flavor. Can be sliced and used or as a garnish and ingredient for drinks. Can also be pickled and served on the side or in a charcuterie plate. Perfect refreshing and cooling topper for salads. Awesome addition to any summer dish!